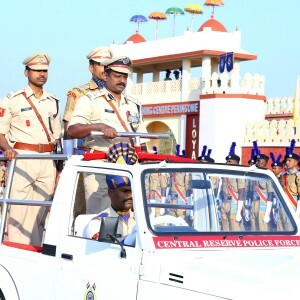 Kallaripaittu Team of RTC PGM show their best performance in 80th Anniversary Parade of CRPF ..
Cookery competition was organised in RTC PGM by RCWA ..
Sh.T.Sekar, IGP and Sh. 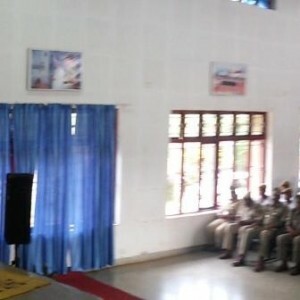 Arunender Pratap Singh, DIGP is inspecting RTC PGM for selection of Best Tra..
Smt. 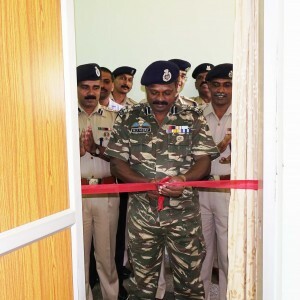 Regini Vijay, CWA Patron inaugurating office of CWA in RTC PGM ..
Sh.M.JVijay, DIGP/Principal, officers, staff, lady wives and families of RTC PGM Trekking in Paithai..
Sh. 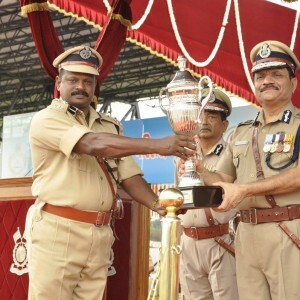 M.J. Vijay, DIGP/Principal RTC CRPF presenting memento to Sh.Gopal Gupta, IPS,DG(Trg.) 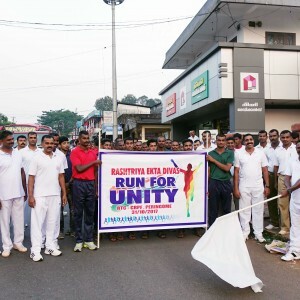 U.P.Polic..
Sh.Sachchidanad Shrivastava,IPS,ADG(TRG) visited RTC PGM on 06/08/2018..
RTC CRPF Celebrates RASHTRIYA EKTA DIVAS followed by RUN FOR UNITY from Peringome Village to RTC CR..
Research and Development cell has been inaugurated by Sh M J VIJAY DIGP/Principal RTC PGM on 24/10/2..
Sh.G.H.P Raju IPS IGP ( South Sector & K K Sector) Visted RTC Peringome on 26/05/2017 appreciated ..
RTC CRPF PERINGOME ORGANISED SWATCH HE SEWA(SHS) PROGRAMME IN PRIMARY HEALTH CENTER PERINGOME AND M..
Kendriay Vidyalaya CRPF Peringome FELICITATION Programme held on 14/08/2017. Sh Richard Hay, Hono..
Sh Atul Karwal, IPS IGP TRG(Dte) visited RTC CRPF PGM interacting with Trainers on 19/09/2017..
Inter wing competition held at RTC CRPF PGM on 21/10/2017 in the presence of DIGP/principal to motiv..
recruits of Batch no 143,144,145 Total 828 recruits out of which 186 are from IRB Pondicherry ,4 fr..
RTC CRPF Peringome has been adjudged Best Training Institute in CRPF for the year 2016-17. ..
Shri. 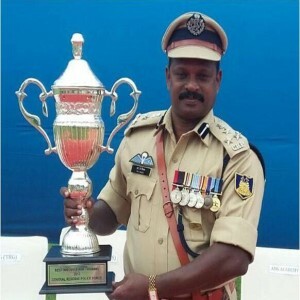 T.J.Jacob Principal /DIGP handed over the charge of Principal RTC CRPF Peringome to ..
Sh. 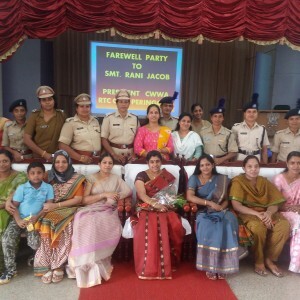 M J Vijay DIG took over the charge of Principal RTC CRPF Pringome today..
A farewell party was given by the lady staff and family members of RTC CRPF Peringome ..
Brig. 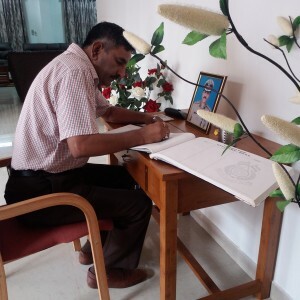 (Retd) S.K. 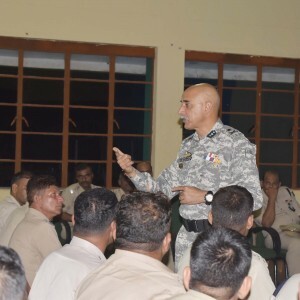 Sharma YSM, DIGP (Trg) visited RTC CRPF Peringome w.e.f. 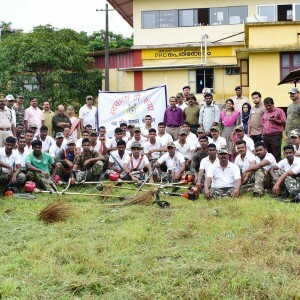 01-05-2016 to 03-0..
On the Day of Valour at RTC CRPF the DIGP Sh.T.J.Jacob take salute in the Quarter Guard and made s..
World Health Day was observed by RTC CRPF PERINGOME on 7th April 2016 with various functions. 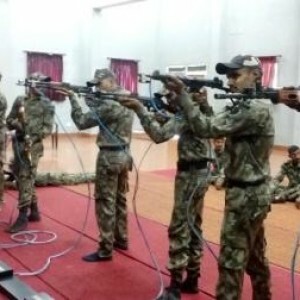 At 1..
144 Batch of Trainees Constables started today.DIGP/ Principal Sh TJ Jacob inaugurated the training ..
24 Commandos of Kerala Police under went training at RTC CRPF PERINGOME for commando training ..
DIG/Principal conducted sainik sammelan for the month of March 2016.He emphasises importance of bas..
311 Trainees arrived for 44 weeks basic training. 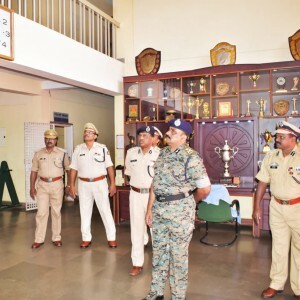 ..
On 11/09/2015 to 13/09/2015 SDG CRPF SH K DURGA PRASAD, IPS visits RTC CRPF PGM. HE evaluated the tr..